For the first time since the mid-1980s, all five of the constitutional officers in Wisconsin will be held by democrats. Governor, Lieutenant Governor, Attorney General, State Treasurer, and Secretary of State are now in the hands of democrats for at least the next four years. 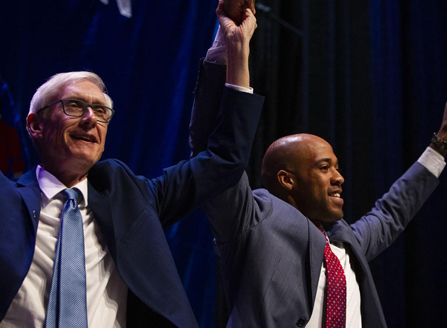 Tony Evers defeated Governor Scott Walker by a 1.2% margin, 1,293,799 to 1,124,648 total votes. Early in the a.m. on Wednesday, a statement was released by Lt. Governor Kleefisch that hinted that the campaign would be seeking a statewide recount of ballots before conceding the race. That quickly changed early Wednesday afternoon when Governor Walker released a statement conceding the race to now Governor-Elect Evers. Former State Assembly Representative Mandela Barnes is now Lt. Governor-Elect, and will take over in January for Lt. Governor Kleefisch. The other statewide race that WBA was actively engaged in was the race for Attorney General. Prosecutor Josh Kahl defeated Attorney General Brad Schimel by .8% or 22,673 votes statewide. With the even closer margin of victory, the Schimel campaign released a statement they were awaiting the final vote canvas on the race before starting the transition of power to Josh Kahl in January. Schimel’s statement concluded by saying “However, if the margin does not substantially change, I have vowed that my team will assist him in making the transition as smooth as possible. I want to thank nearly 1.3 million Wisconsinites for their votes, their prayers and support. We will all know more in about a week." Two factors appear to have made the difference for Tony Evers and Josh Kahl on Election Day 2018. Higher voter turnout and margins in Dane and Milwaukee Counties and a lesser margin of victory for Walker and Schimel in the “WOW Counties” (Waukesha, Ozaukee, and Washington) tilted our politically-even state in the direction of the democrats. Neither of the above factors are really that surprising. It has been known for some time that traditionally more liberal voters in Dane and Milwaukee Counties were looking for another opportunity to push back against President Trump, coupled with close polling that showed they may finally be able to beat Scott Walker after being 0-3 against him since 2010. Polling had been showing a depression of republican votes in more suburban areas of the country, and the suburbs around Milwaukee County were no different in the end. Governor Walker and Attorney General Schimel were still able to win those counties handily, but their margin was down from the percentages they received four years ago. Even though they improved in some upstate counties, it was not enough to make up for the one-two punch of a depressed GOP vote and an energized democrat turnout in Dane and Milwaukee Counties. Going into Election Day, the conventional wisdom was that the assembly GOP would continue to hold the majority in the state’s lower house, but they would likely lose in the ballpark of 5 seats. In a testament to candidate recruitment, fundraising, and campaign staffing, it looks like Assembly Speaker Robin Vos will come back either losing no seats or just one seat that looks to be headed to a recount. Press reports on election night stated that the GOP was able to hold all their seats in the state assembly with the open 14th Assembly District seat going to the republican, Matt Adamczyk, by 21 votes. After further review it appears the numbers that were first reported for wards 16 and 17 in the City of Wauwatosa were incorrect, and, when factoring in the new numbers, democrat Robin Vining now appears to be in the lead by 132 votes. Even if the GOP loses this seat, coming back with 63 seats is a major accomplishment for Speaker Vos and his campaign team in 2018. State Senate Majority Leader Scott Fitzgerald was able to expand his majority by holding all his current seats and defeating State Senator Caleb Frostman in the 1st Senate District. Frostman won a special election this summer to replace State Senator Frank Lasee by defeating Representative Andre Jacque. After the close race this summer, Jacque announced that he would again seek the 1st Senate District seat this fall, and this time around was able to defeat Frostman by a wider than expected margin of 47,286 to 39,414. Two sitting state senators were the target of big money to defeat them in 2018 and both were able to hold on. State Senator Howard Markein was reelected to serve in the 17th State Senate District 54% to 46% by defeating Democrat Kris Marion. WBA member and State Senator Roger Roth bested Lee Snodgrass in the 19th State Senate District 53% to 47%. In a hard fought and nasty race for an open state senate seat in the Wauwatosa area, State Representative Dale Kooyenga defeated democrat Julie Henszey 51.3% to 48.7% in this traditionally strong GOP seat. This seat became open when State Senator Leah Vukmir decided to vacate the seat to run against U.S. Senator Tammy Baldwin this fall. Most Madison area political pundits predicted that the democrats would pick up one seat in the upper house and the GOP would come back with a plus one majority in 2019. Instead, the GOP comes in with 19 seats and will be looking now to pick up State Senate District 10 which they lost in a special election in early 2018 in the general election in 2020. What Does this Mean for WBA’s Advocacy Efforts in 2019-2020? The biggest question being asked since the results of the governor’s race were determined on Wednesday is what do the election results mean for the items contained in the 2019-2020 WBA Advocacy Agenda that was approved by the WBA Board of Directors in October? We should still have a great opportunity to pass most if not all of our agenda items working with the GOP majorities in both houses of the legislature. Getting those items signed by Governor Tony Evers will be the biggest unknown heading into January 7, 2019 when Governor Elect Evers is sworn into office. Items dealing with workforce development are very bipartisan, and we hope to work with members of both political parties to have Governor Evers pass in 2019-2020. Other items, like reforming impact fee laws, will likely be more of a challenge to get signed into law without first working with other municipal government interest groups that likely will not want to go as far with the reforms that we’re looking for. The one thing we will need this session is your continued interest in advocating for sound public policy to decrease the cost of housing for Wisconsin families. How can you help? When we reach out to you to use the Voter Voice email system to support or defeat bills, please take 2 minutes to click the link and send a message to your legislator or governor to make a difference. Also, please consider attending our annual Advocacy Day in Madison event in March 2019 to directly lobby your member of the state legislature. Curious as to how the national election results will affect what the National Association of Home Builders (NAHB) will be working on next session? 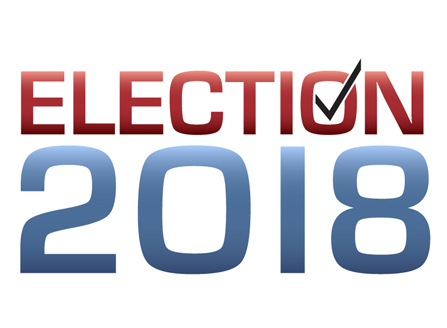 Click here for a 15-minute video from NAHB Chief Executive Officer Jerry Howard and Jim Tobin, NAHB’s Executive Vice President for Government Affairs and Communications, for their analysis of the election results. In the tenth month of 2018, total employment increased by 250,000 and the unemployment rate remained unchanged at 3.7%, suggesting a very strong job market. Residential construction employment increased by 16,600 in October and has risen by 143,500 over the last 12 months. See full article and graphs here.